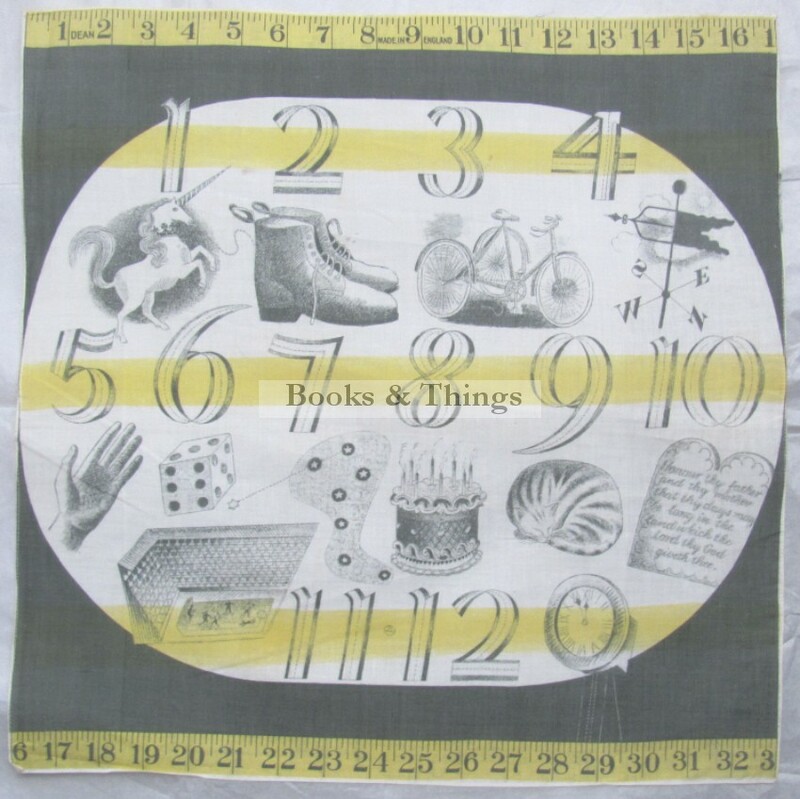 Eric Ravilious: Child’s Handkerchief colour lithograph & linen handkerchief with same design. 450 x 450mm. This design was similar in concept to his child’s alphabet set of ceramics, but was to be produced as a handkerchief. However he died before it came to fruition. 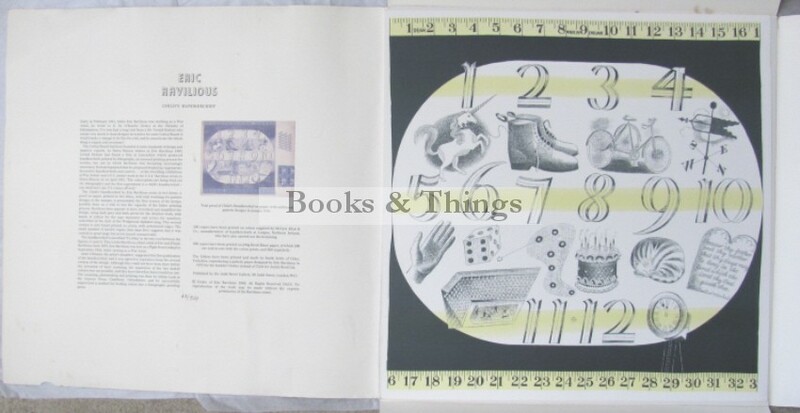 His family commissioned the lithograph to be printed in 1989 by the Judd Gallery in an edition of 500 copies, 200 of which were accompanied by the design printed on linen as well. This is no. 113 of the 200 copies. Both items contained in a printed folder. Category: Miscellaneous. 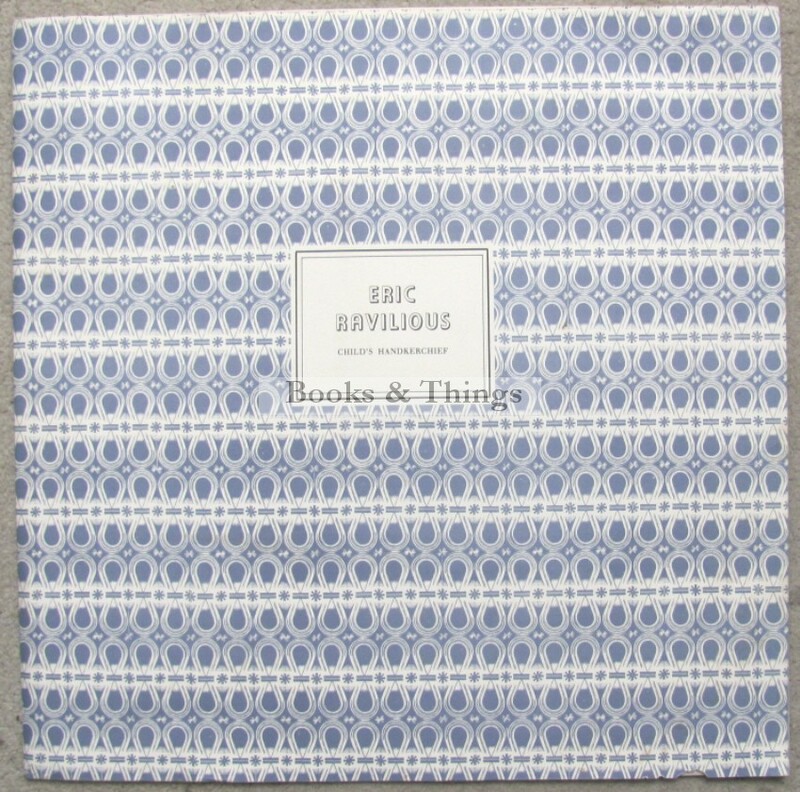 Tags: Eric Ravilious, Eric Ravilious Child's Handkerchief print.